Thousands of residents die every year from being trapped in their home during a fire, according to the National Fire Protection Association (NFPA). Which is why firefighters are telling people everywhere one way to buy families life-saving seconds in the event a fire breaks out in their homes. Keep your door shut, specifically, your bedroom door. 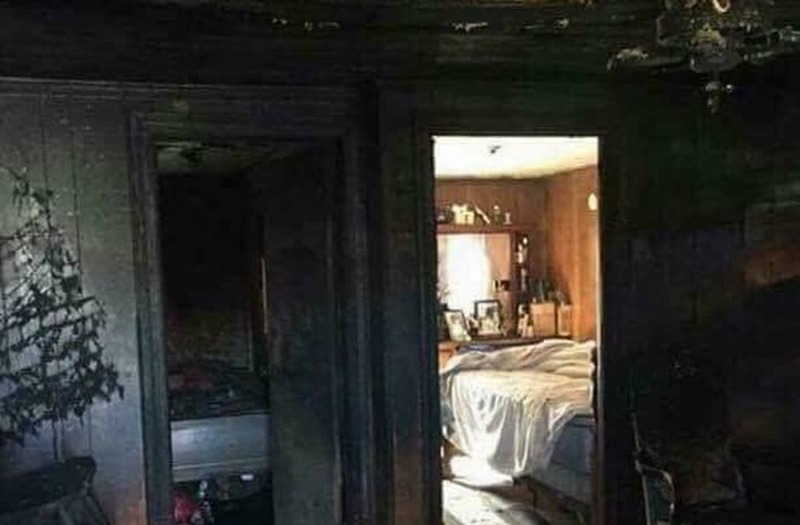 The simple act of closing your bedroom door before going to sleep each night could be the major difference between life and death in a house fire. While it's a more commonly known fact that a closed door could stave off smoke and heat from a fire, keeping your door closed while sleeping could reportedly ward off flames for an additional half hour. Maria Pina, a Community Risk Reduction Specialist with the Colorado River Fire Rescue, told WCNC that although she advises residents to place smoke detectors in each room of their households, closing your bedroom door is a quick and easy lifestyle habit a person can pick up now to save time later during a fire. Pina said a closed door in a recent fire her department dealt with was the reason a little boy survived a house fire that overtook the home. "If the door would have been open, the child would have passed away," she said. In a fire, Pina said, it's the smoke that often kills a person, long before the actual fire reaches them. Modern items and material -- like the foam inside of a couch -- can release toxic fumes during a fire, which is extremely dangerous for a person to inhale. But a shut door can alter the flow of fatal heat and toxic gases in a fire, giving you those seconds or even minutes to find another way out in time.